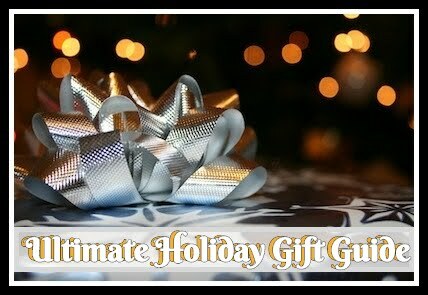 Welcome to the Get Moving 2013 Blog Hop and Grand Prize Giveaway Event. I know everyone of my personal readers knows I have made quite the commitment lately to begin not only a weight loss journey but to get healthier and keep my family active. I have teamed up with some really awesome bloggers and sponsors to bring you some of the best tools to help make this an easier transition for whoever wants to join me! I want to give you as many resources as I can find to help you Get Fit, Get Healthy and Get Moving in 2013! 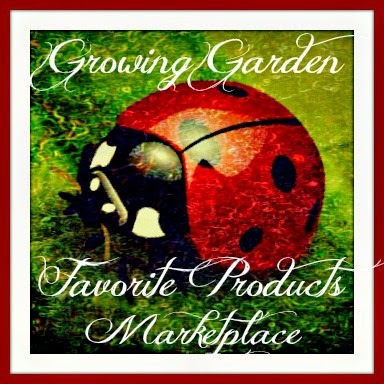 Hosted by Silent Springs, A Lucky Ladybug and Mommy of One and Counting. We have teamed up with 15 sponsors to help you Get Moving in 2013! Enter these Grand Prize giveaways and win the gear to help you reach your health and fitness goals in 2013. Below the Grand Prize Entry Form, you will see 20 more Get Moving themed giveaways offered by other bloggers. Hop through their blogs to see what other goodies you can win to help you Get Moving! As always, we love comments and shares. So please tell your friends and family. Daily entry options available! What's Included: (For more details, click on each product & read our review.) **U.S Winner only for this package. * Activewear USA - Activewear USA has tons of different active wear to choose from. With many choices to fit both your style and your choice of exercise, you are sure to find something you love. * MOVbands ($29.99) - It's a watch, it's a pedometer, it's so much more! With stylish colors, this watch also tracks your movements, not just your steps. Sync it online and keep track of all of your activity over time. Join a group or a challenge and stay motivated to get in shape. * Neocell - Neocell offers many products designed to help in strengthening and rebuilding lost muscle mass and improving connective tissues. Many different products available to meet your needs. * Handful Bras - You're active, you're versatile, you're one of a kind - you're a handful! The handful bra gives you options no matter what life throws your way. A uniquely versatile garment, the handful offers fashion, function, and feel as an everyday bra while also providing excellent support for the smaller-chested fitness enthusiasts among us. The handful is an approved mastectomy bra with generously cut pockets that can accommodate extra pads or prosthetic. Handful Bras supports Breast Cancer survivors. * Creative Bioscience - Creative Bioscience is an hCG drop you take a few times a day to aid in weight loss. There are 1200 calorie plans and no exercise required. *Fit Moms for Life Book ($17.99) - Dustin Maher's book can help anybody, new moms included to reach your goal weight in a healthy way. Includes dietary information, workout tips, exercises and much more. *The Babywearing Workout Download ($9.95) - Kelli and her baby Kayla help moms on their journey to lose weight while doing something they love - baby wearing. Added bonus, baby will most likely be asleep by the end of this 30 minute workout! Skuut Balance Bikes ($100) The Skuut™ is a wooden balance bike for children ages 2 to 5. It has no pedals and no training wheels. Children kick off the ground as if running, thus pushing or "skuuting" themselves and the bike forward. The Skuut™ is perfect for learning balance, steering, coordination and independence. Having mastered balance on the Skuut™, the transition to a traditional two wheeler bike is easy. Easy to assemble and adjust. Open to U.S residents ONLY! Fireflies Yoga -Musical Yoga Adventure CD ( $15.00) - The follow-up to Kira Wiley’s award-winning debut CD, ” Dance for the Sun “, is a unique two-in-one combination of captivating songs and get-up-and move inspiration. Featuring great original tunes that kids (and parents!) will love, it also includes 13 bonus yoga tracks and an illustrated booklet with more than 50 simple yoga poses. 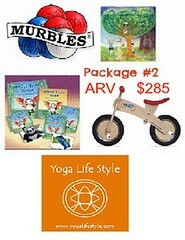 Yoga has never been more kid-friendly and family music has never been more active and fun! Murbles - Murbles are 100% American Made. A game similar to Bocce ball. Murbles consists of 3 solid balls made from recycled materials. For 2-4 players, you are sure to have fun playing this game. Lifestyle Yoga Kids Yoga Mats by the Inch ($19.80-59.40)It's no surprise that the easiest way to get kids active is to start when they are young. Get that yogi started with her own mat and let her learn right along side of you while getting fit and having fun! These mats come in a wide range of sizes based on how much space your child needs. **U.S / Canada Winner only for this package. 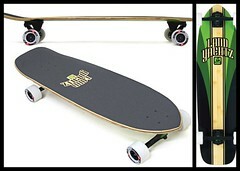 LandYachtz Longboard with Trucks & Wheels ($186) -New for 2012 and Featuring a platform similar to that of the 2011 Wolfshark, The Trooper is an all bamboo freeride board that features a kicktail, mild concave and an unlimited amount of fun. Perfect for the hills or the campus and everything in between. 36.5” long x 9.7” wide. Read up on how Longboarding can help you get Fit! Check out these other great Giveaways offered by all the wonderful bloggers who want to help you on journey to a healthier lifestyle! 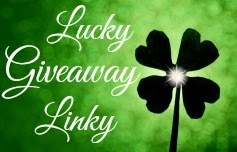 Disclosure: Please note that Silent Springs, A Lucky Ladybug and Mommy of One and Counting and the Get Moving 2013 Giveaway bloggers are not responsible for sponsors that do not fulfill their prizes. We have represented each sponsor with the expectation they will fulfill their prize and in a timely manner. We will contact the sponsor regarding your prize(s). The sponsors, in most cases, are shipping their items to you directly. We will make every effort to assist you obtaining your prize. If there is an issue with a sponsor, please notify the blog you won a prize from within 4-6 weeks for assistance, after that we may be unable to assist you. My goal is to get healthier (largely by losing weight) so I can work on defeating diabetes. My goal is to lose weight and change my eating habits! I need to get back on the treadmill and lose some weight. I am most excited about the skuut balance bike! I like the second package because I think my kids will enjoy it, too. Package #2 is incredible, especially the balance bike. We want to get our daughter that exact bike for her birthday. NEOCELL, Moy bands and Activewear USA!!!! !